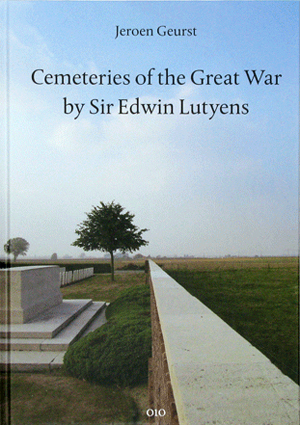 The British architect Sir Edwin Lutyens (1869-1944) designed 140 cemeteries in the countryside of Flanders and northern France for soldiers killed in the First World War. 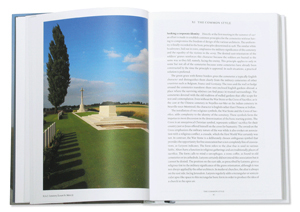 The cemeteries can be regarded as an imprint of the former battlefront on the map of Europe. All were designed according to principles established beforehand, based on the idea of a cathedral, church or chapel in the open air, and include uniform gravestones, a War Stone and a Cross of Sacrifice. Yet the difference in size, alignment and provenance make them all unique variations on the themes in question. The most memorable aspects are their meticulously chosen position in the landscape, the varied selection of trees and other greenery, and the architecture of the entrance and shelter buildings. In an exhaustive landscape-architectural analysis, this opulently illustrated book charts the history of the designs and reveals the underlying principle of order and variation in the architecture. 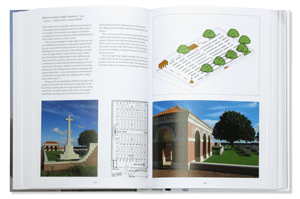 The cemeteries can be regarded as an imprint of the former battlefront on the map of Europe. All were designed according to principles established beforehand, based on the idea of a cathedral, church or chapel in the open air, and include uniform gravestones, a War Stone and a Cross of Sacrifice. Yet the difference in size, alignment and provenance make them all unique variations on the themes in question. The most memorable aspects are their meticulously chosen position in the landscape, the varied selection of trees and other greenery, and the architecture of the entrance and shelter buildings. In an exhaustive landscape-architectural analysis, this opulently illustrated book charts the history of the designs and reveals the underlying principle of order and variation in the architecture. 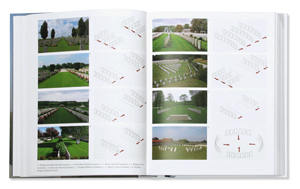 All 140 cemeteries are fully documented with references to the places where they are to be found.